This summer, try out these amazing beauty secrets at home and get an ever-glowing skin! Summer is here in full glory and now is the perfect time to flaunt your skin. But only if it is healthy. Skin that is healthy from within glows naturally. Heat, sun, hot winds and weather fluctuations cause severe skin damage and make it dull and rough. Tanning is not the only problem that being out and about causes. Clogged pores because of excessive sweating and the dust and grime are an issue too. Summertime, therefore, calls for a special skin care routine. Follow these tips for skin that glows with health. Treat yourself with fluids like fruit juices, coconut water, green tea, buttermilk or just plain water to decrease the heat level and keep the body cool and hydrated. Fluids also help to detoxify the skin and keep the skin soft, dewy and clear. Green tea is high in antioxidants which help to eliminate dead skin cells and the anti-inflammatory, anti-carcinogenic properties in green tea protects against a variety of skin disorders. But nothing works better than water. Water not only quenches the thirst but also helps to flush out the toxins and waste that accumulate in the body. What you eat shows on your face. Do not eat too much salt as it have a dehydrating effect on the body. Include high water content fruits in your diet like watermelon, cucumber, oranges and lettuce which will give you nutrients and anti-oxidants. 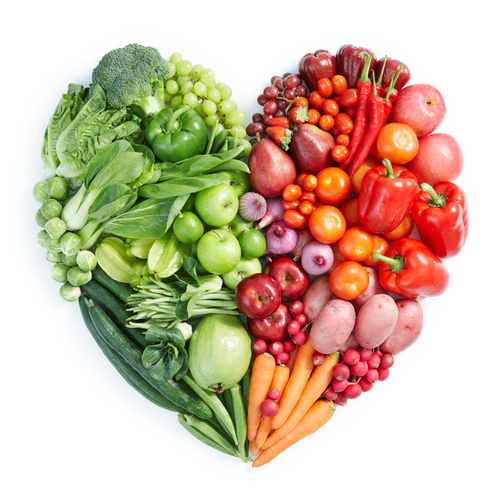 Green vegetables help to improve the immune system and decreases stress level in the body. The sunscreen is your most essential beauty product. Always apply a sunscreen which contains high SPF (for Indian conditions, at least 40 or more) about 15 minutes before stepping out in the sun. Sunscreen not only prevents skin darkening and skin damage but will also protect you from harsh UVA rays that can lead to skin cancer. Reapply the sunscreen every two hours and opt for a waterproof sunscreen. Try to stay indoors during 10 am to 4 pm as the sun rays are harshest during that time and can have adverse effects on the skin. Exercise helps to get rid of the toxins and gives you glowing skin. Do simple workouts or yoga every morning to feel good and stay fresh. If you feel too lazy to work out, walk as much as you can – you will have more energy, lose those extra pounds and will get fresh and healthy skin. Exercise also increases the blood circulation of the body and promotes supply of blood that gives the skin a natural and healthy glow. This is the simplest way to get glowing skin. Cleanse your skin thoroughly twice a day with a good quality cleanser. Go for a cucumber and Aloe Vera based cleanser if you have acne. Plain yogurt mixed with honey makes a good natural DIY cleanser which not just cleanses but also moisturizes the skin. Apply this to your skin and leave it for 10 minutes. Rinse off with plain water. Proper exfoliation is crucial to get the glow back. 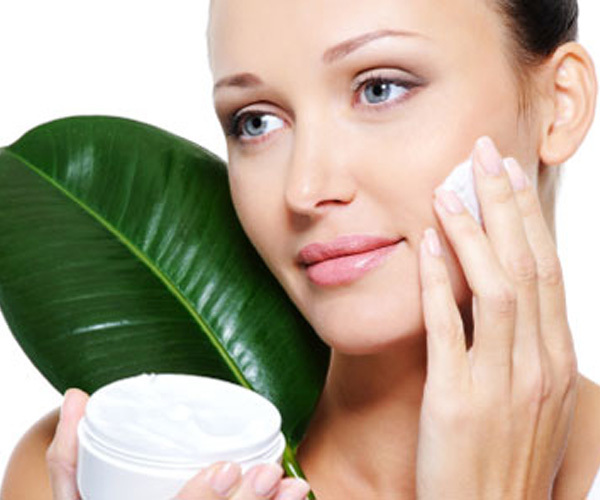 Exfoliation is necessary to remove the dead skin that gets accumulated on the face and other parts of the body. Use an exfoliating sponge or a massager to scrub off the dead skin from the body. You can prepare a homemade scrub by preparing a paste of oatmeal, milk and besan. 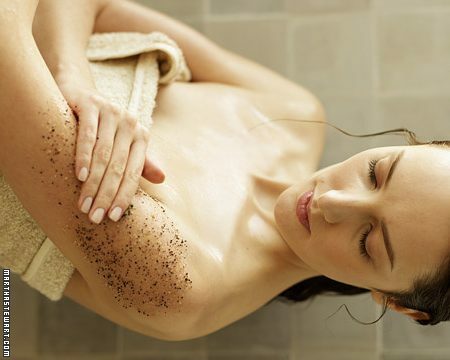 Gently rub this scrub in circular movements on the entire body for 3 minutes and then rinse off. Repeat this procedure 2 to 3 times a week. The more said about this, the less. Too much product on your face will clog pores and lead to build up of bacteria. Substitute the heavy foundation for tinted moisturizing creams containing silicone that does not dissolve into the pores and clogs them. It also creates a barrier between skin and heat. If you do apply makeup, remove it as soon as you can with a good remover and follow the cleansing, toning and moisturizing routine religiously. Instead of store-bought moisturizers, opt for kitchen or garden moisturizers such as honey, buttermilk, raw milk and so on. Eggs are loaded with proteins that are great for the skin and are known to maintain the natural elasticity of the skin. Take an egg and separate the egg yolk from the egg white. Add 4 tablespoons of almond oil and 1 tablespoon of lemon juice to the egg white and mix thoroughly. Apply on face and let it dry completely. Clean face with warm water. Repeat this remedy 1 to 2 times every week to keep skin smooth and hydrated. 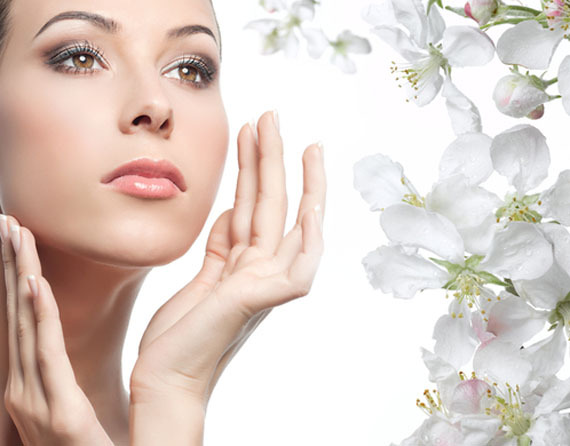 Toning is an essential part of skincare in summer. Use a toner to wipe the excessive oily areas of the face like the forehead and around the nose. The astringent properties of the toner soothe and cool the skin and also shrink open pores which help in controlling oil production. During summer seasons, different face pack that will bring the glow back to your face while cooling the upper layer of the skin are ideal. 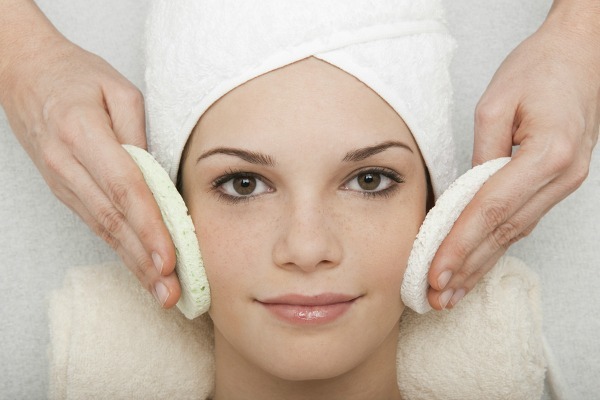 Homemade face packs go a long way in removing dullness. The easiest thing to do is apply yogurt on your face and washing it off after 20 minutes. You can also opt for various fruit and vegetable combos to make a customized face pack for yourself.